Traveling to Paraty took us about 5-hour by bus from Rio de Janeiro. Tired from our journey, I immediately checked my sketch of the direction to our hostel. I began figuring out how we can reach it from the bus terminal. My buddy and I lost our phones in Rio de Janeiro so while traveling in Brazil we only rely in our print outs and drafts most of the time. Che Lagarto Hostel Paraty was our accommodation. We got lost finding the street where the hostel is at first. But good thing, two men on their bikes approached us and offered to help us find our hostel. Apparently, Che Lagarto Hostel Paraty was just an easy 5-minute walk from the bus terminal. It was already late when we arrived in Paraty. The hostel was already on its high time for socials. Other travellers were in the common area – enjoying their drinks. I would be happy to join but I was already feeling tired that time. I wanted to go to my bed first to rest then probably mingle the next day. We went straight to the reception area to check in to our room. Staff warmly welcomed us. After presenting photocopies of our passports and filling up the guest form, they handed to us our room key. Then, one of the front desk guy mentioned about the house rules. After that, he accompanied us to our room located at the extension of the hostel just across the street. 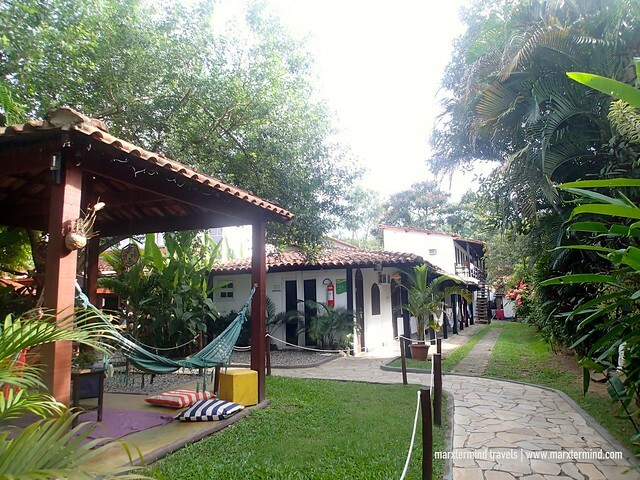 Che Lagarto Hostel Paraty offers private and shared rooms. Rooms are simply furnished with some nice decorations. We stayed in a private room. The room has two twin beds. The room was also air-conditioned and has its own bathroom. Bathroom was spacious while the entire room was generally clean. Our room also has a TV and mini fridge. Towels and some bathroom essentials were also provided. The room was very basic but looked nice. Overall, we had a good and comfortable stay here for two nights. 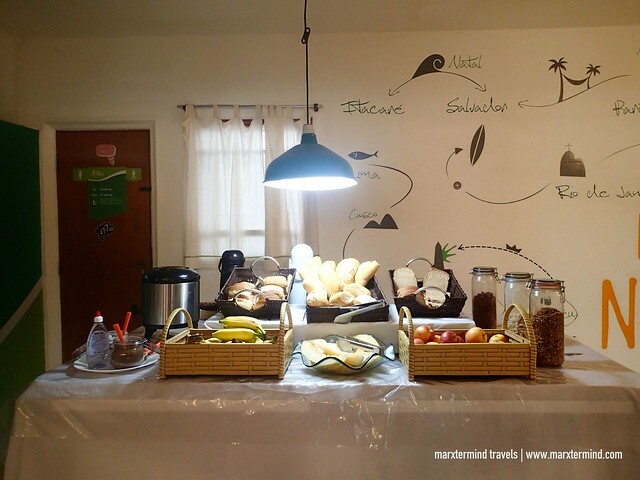 Che Lagarto Hostel Paraty also has array of facilities for guests to enjoy. 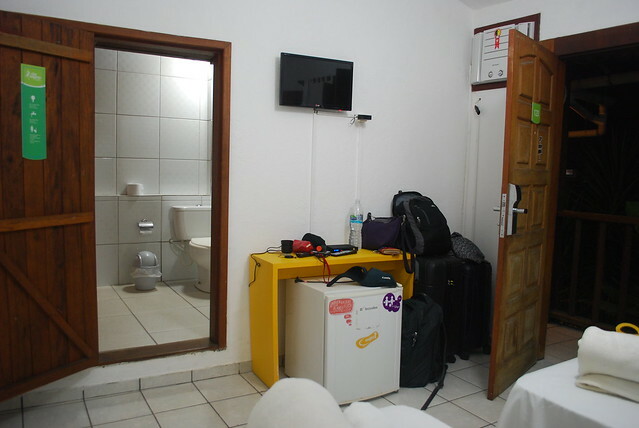 The hostel has common lounges, outdoor pools, shared kitchen and a cozy TV room. There’s also a game room, a bar with live music, and a garden with a BBQ terrace and hammocks. The hostel also has computers with Internet and Wi-Fi connection for guests to use. Delicious breakfast is also served daily. Breakfast comes in buffet style and includes breads, spread, fruits, cereals and some beverages. The hostel also has a tour desk for transfers, excursions and tourist information. 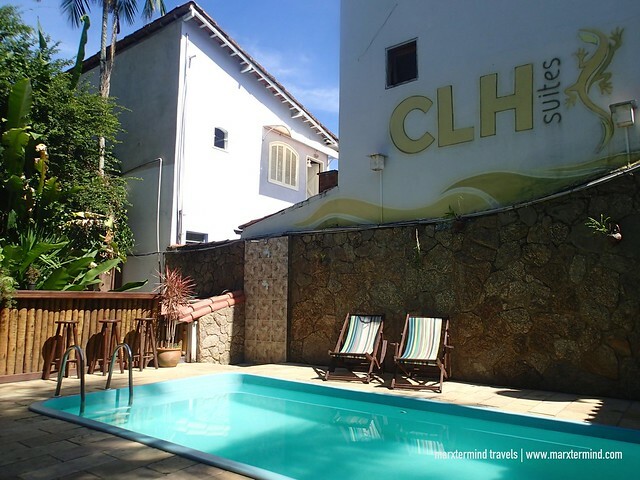 Located in the city’s historical center, Che Lagarto Hostel Paraty is an ideal place to stay in the area that is worth the value. It has great location, helpful staff, nice accommodation and atmosphere, also giving guests the best hostel experience. After visiting Rio de Janeiro, coming down to this city and staying at Che Lagarto Hostel Paraty was a good decision. We were able to chill down and relax a bit while we were preparing for our next destination in Brazil. 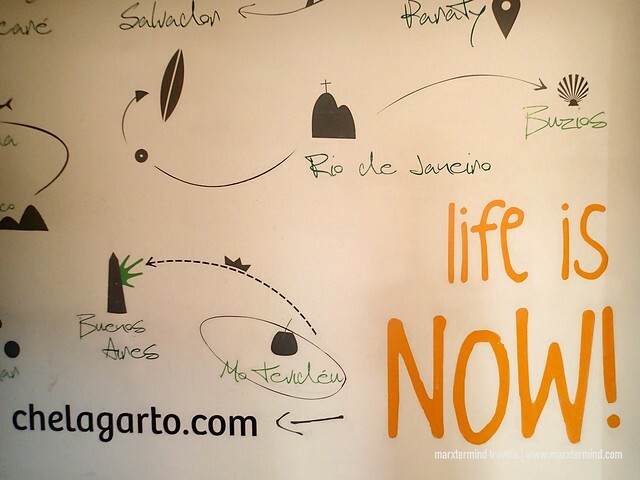 Che Lagarto Hostel Paraty is a lively hostel in Paraty’s historic center. 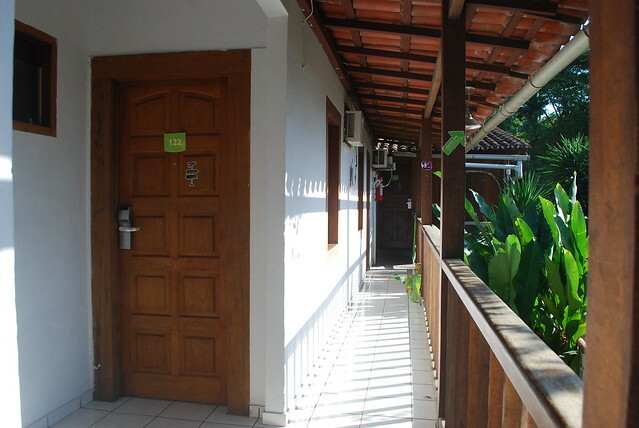 It’s a nice and affordable place to stay in Paraty with dorm rooms and private rooms.